BCL Consulting is committed to helping employers find solutions to keep the workplace safe and accident-free. 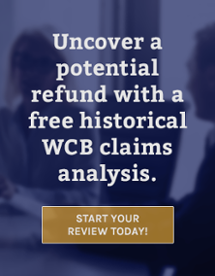 As an industry leader for WCB claims and claims management, we are here to help you avoid unnecessary costs to your business. Below are a few resources we provide to valued clients and partners like you.